Close unwanted gaps- which could be due to tooth loss. Bring teeth and lips into alignment. Trauma- Teeth can be misaligned by small trauma. In severe cases, when teeth being knocked out and placed back in again, the tooth may fuse with bone, called ankylosis, if it happens to a growing child, the tooth will not able to align with other teeth. Early loss of baby teeth- if a baby tooth is lost too early due to decay or trauma, the permanent tooth can lose guidance and might drift or partially drift when erupted. Sometimes the teeth next to the missing tooth might tilt into space and prevent the permanent tooth to come through. Most of the time, irregular or abnormal bite can just be an issue with appearance but in some cases, it can affect swallowing, chewing, talking and even breathing. 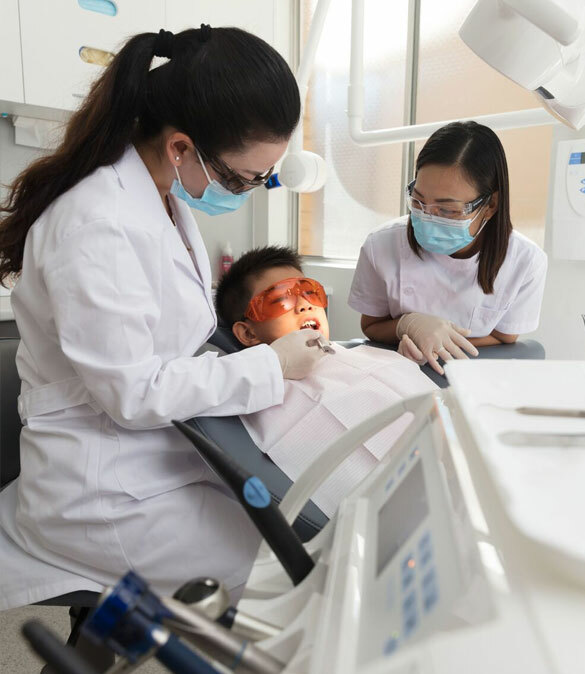 At 360 Dental Care, we will give you a thorough examination, including a questionnaire, clinical assessment, and x-ray assessment, and then will present a tailored treatment plan for you on a consultation appointment. It will take more time and effort to maintain your good oral health while wearing braces. Food is easily trapped between the brackets and the wire, therefore it is important for you to diligently brush and floss your teeth, as well as using mouthwash after every meal. Smaller bendable floss brushes are also available to remove food deposits between and around the wires. If you require extra assistance with maintaining good oral health techniques whilst having orthodontic treatment, speak without friendly dentists for advice. Use firm but gentle pressure to wriggle the floss between your teeth to remove built up plaque and/or food particles.